• Need to Incorporate? Incorporation Services, Resident Agent, Licensing, Business Start-up Services offered. Any questions? 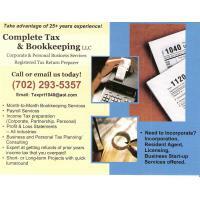 Email us at "taxprt1040@aol.com"